The hot new thing right now is CBD oil. It comes from the marijuana plant, but what is it? Well, CBD is one of 66 chemicals in marijuana that is classified as a cannabinoid. CBD is closely related to, but very different from, THC. 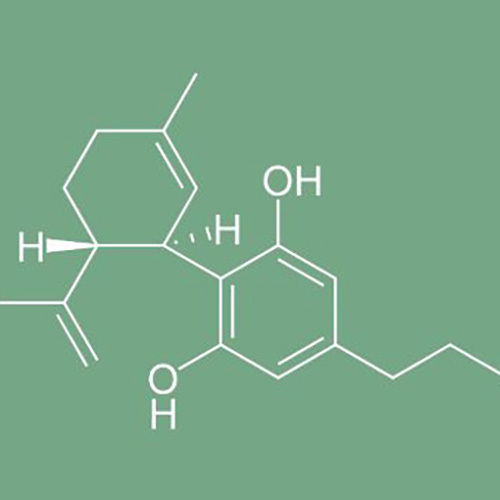 THC is the natural chemical in marijuana that creates the high. CBD is another cannabinoid that won’t get someone high but is credited to have medical properties. CBD has gained most of its notoriety due to its claims to help with seizures. There are also claims of its medical benefits for inflammation, anxiety, and other medical problems. Although, many experts question the reliability of this seemingly miracle drug. One of the main problems with CBD oil is that is it produced with little to no regulation. This means that anybody can create CBD oil for sale, which results in a large vary of quality. Marcel Bonn-Miller, an adjunct assistant professor of psychology in psychiatry at the University of Pennsylvania School of Medicine, was quoted as saying “It really is the wild west, Bob Joe who starts up a CBD company can say whatever he wants on the label and sell it to people.” In a study done on CBD products in 2017, researches tested different varieties and bands of CBD oil to see if what the product contained was the same as what was advertised on the label. What they found was that about 70% did not contain the amount of CBD oil that it claimed to have. While about 43% contained much less CBD than stated on the label, about 26% contained too much. The problem with a lack of regulation is that there really is no way of knowing exactly what is in the product. CBD oil has many claims to fame. It is said to help with everything from anxiety to seizures. While there is suggestive evidence that it can help with seizures, there is not the same kind of supporting evidence that it helps with anything else. The link between changes in anxiety and CBD oil is nearly nonexistent. It has shown some promise as being useful for inflammation. However, most of the trials that have been done have been on animals. While animal testing can be very useful for us, there is always the potential that humans will react differently. Further testing is needed before we can say that CBD oil can be useful for inflammation. There have been tests, again on animals, to the effects of CBD oil as a sleep-aid, anti-psychotic, or anti-depressant. Again, more study is needed. Some of the tests for these effects that have been done on humans were done with a small sample of people and no control group. This means that there is no way to know whether the CBD oil is helping, whether those people just happened to improve on their own, or whether it was a placebo effect. Because of this, we cannot say definitively that CBD has any effect on these medical problems. As for its assistance with epileptic seizures, it has been shown that the oil can help treat seizures. However, the problem is that it is very difficult for the human body to absorb the chemical orally. If CBD oil is made properly, at best less than 20% of the chemical is absorbed into the system. If made improperly, often times the oil can contain THC, the chemical that creates a high. I personally have had students tell me that they were using CBD oil and that they know for a fact that CBD can create a high. I told him that there were no properties in CBD that create a high, but he was insistent. Unfortunately for this young man, he must have been using a CBD oil that contained THC. There is evidence that THC can actually increase anxiety and have a negative impact of seizures as well. This could be a problem with people attempting to use CBD to help with these problems, purchasing a product which, not to the user’s knowledge, has THC in it, and they end up having the opposite effect. There is some potential that CBD could be useful, however there is definitely a need for extensive testing on humans, and stronger regulations on the quality and purity of the products before it is recommended to any patient. If you, or someone you know, is struggling with anxiety, depression, seizures, or any other physical or mental problem, please seek the professional help of a doctor before purchasing a product with no regulation or evidence of positive effects.